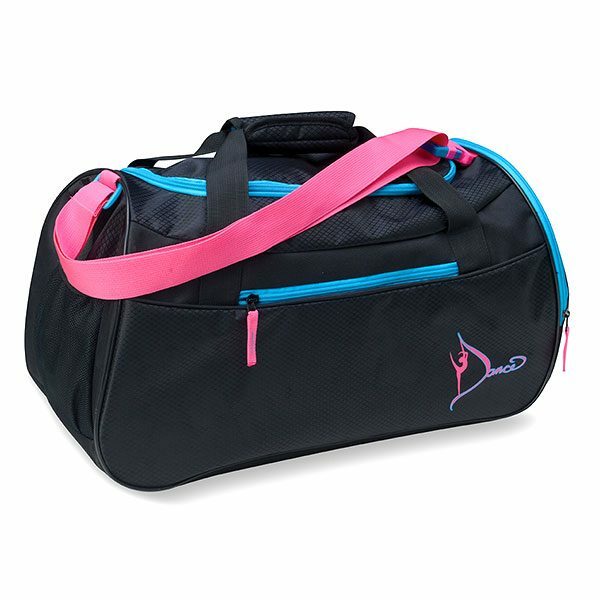 Features: Durable textured microfiber bag features a mesh vented exterior side access shoe pocket, front zipper pocket and mesh side pocket. Interior is fully lined and includes two mesh pockets. Contrasting bright pink adjustable shoulder strap. All zipper pockets contrast in turquoise blue.